Sen. Sherwin Gatchalian has urged Congress to support President Rodrigo Duterte’s appeal to swiftly act on an “enabling law” that requires mandatory Reserve Officers’ Training Corps (ROTC) program for Grades 11 and 12 students. 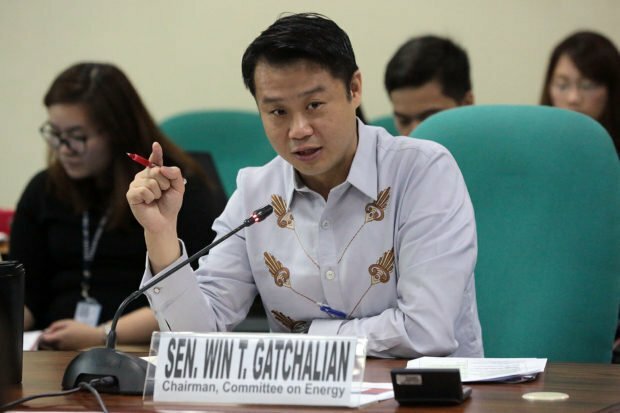 “Congress should strongly support the President’s message on the urgency of passing an enabling law to make the Reserve Officers Training Corps (ROTC) mandatory again,” Gatchalian said in a statement on Friday. This after, Duterte said he plans to issue an executive order (EO) to require mandatory ROTC for Grades 11 and 12. Last Thursday, Duterte also asked Congress to “expedite” the passage of the Reservist Employment Rights Act, which is still pending. “Let me take this opportunity to ask Congress to expedite the passage of the Reservist Employment Rights Act that is currently pending in both houses of Congress,” Duterte said during his speech for the 35th Founding Anniversary of Army Reserve Command in Camp Regio de Dios, Tanza, Cavite. Gatchalian, who supports the program, said ROTC can help promote patriotism and discipline for the youth, noting that he authored a bill to implement the program. “Naniniwala ako na ROTC is a powerful means of instilling a sense of patriotism and discipline sa mga kabataan natin, which is why I filed Senate Bill No. 200, the Mandatory ROTC Act, on my very first day in the Senate,” he said. The senator added that the mandatory ROTC will offer “well-trained reservists and potential commissioned officers” for the Armed Forces of the Philippines. He also said the country needs to improve its response for natural disasters, noting its high risk of natural disasters.